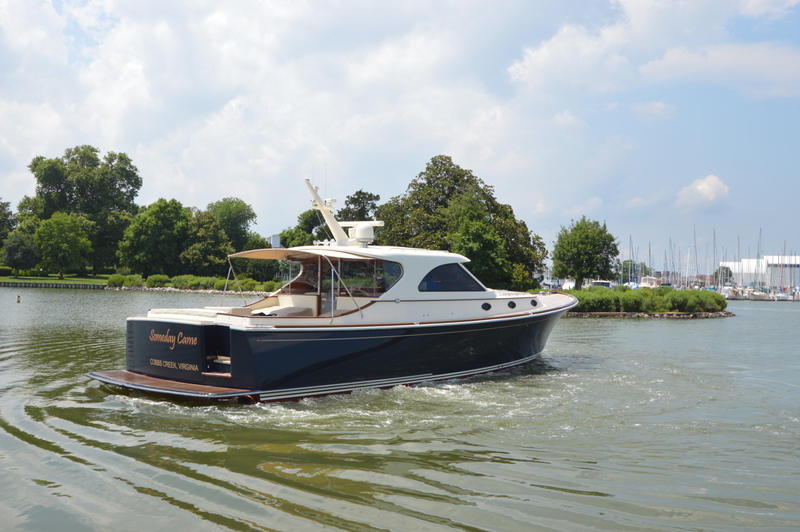 The 48' San Juan Express was designed with three fundamental principles in mind: Performance, Looks and Standard of Finish. 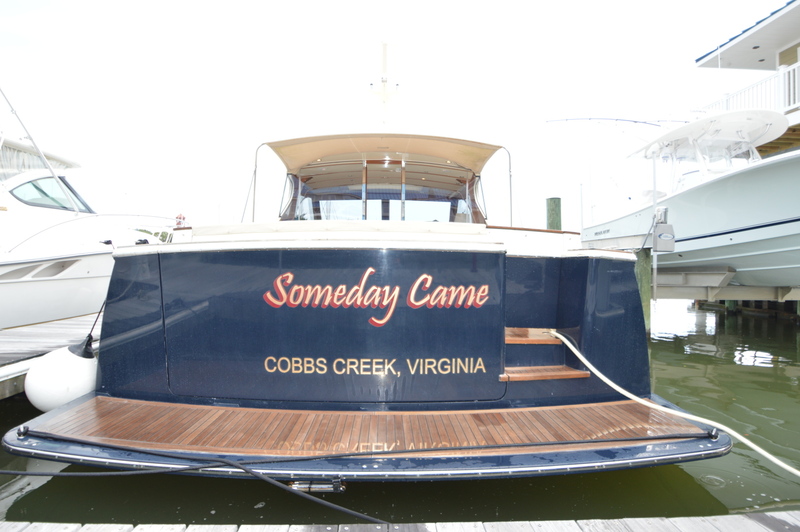 "Someday Came" is a stunning example of these fundamentals. 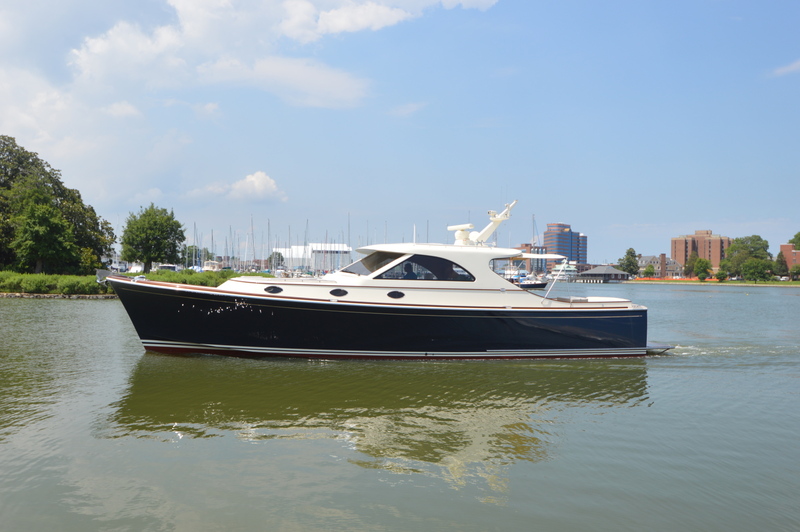 This Original owner vessel, with 400 hrs on twin 60 Series Detroit Diesels, Professional Care and Maintenance, she delivers an easy 30 kt cruise in a package of complete Opulence. 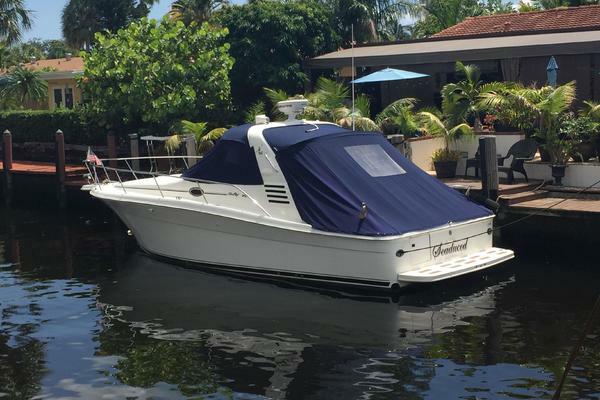 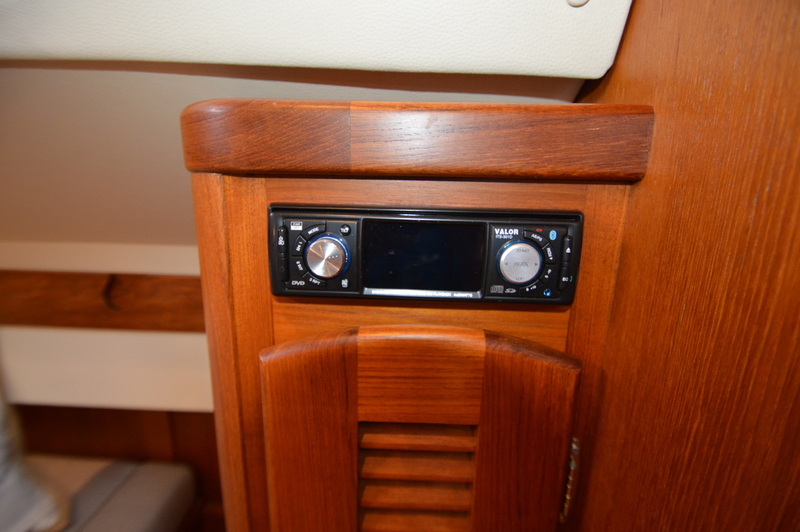 RayMarine electronics package, New Chilled Water HVAC system last year, Bow and Stern Thruster, Underwater lights, Power Sunroof, Watermaker, Onboard Laundry, Transom Garage, 2 full heads and showers. 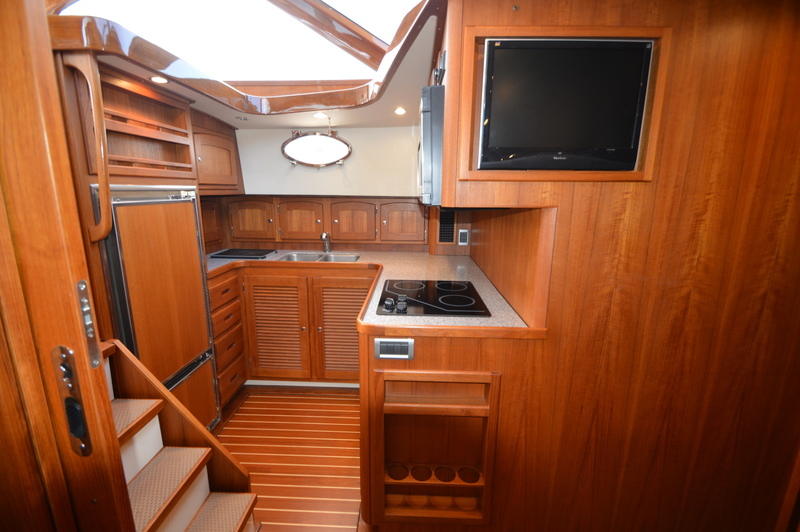 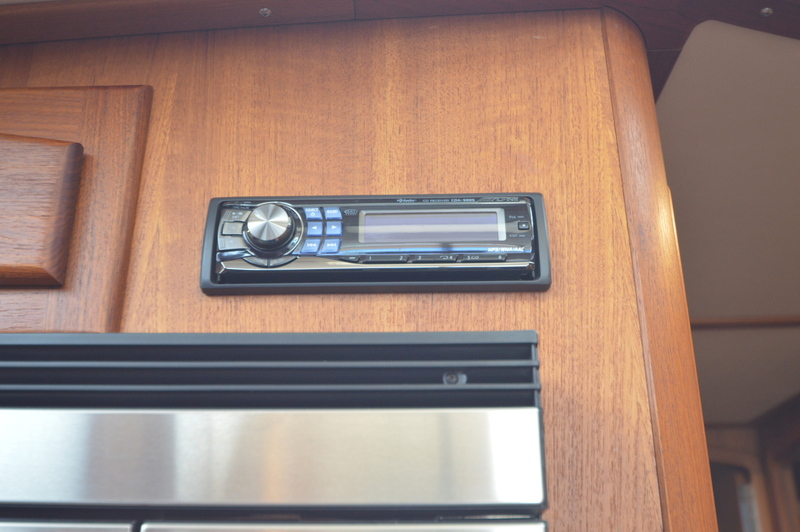 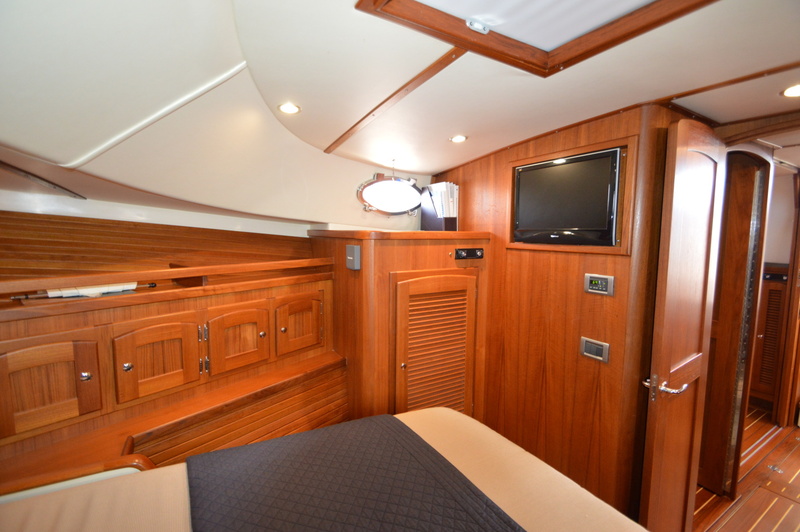 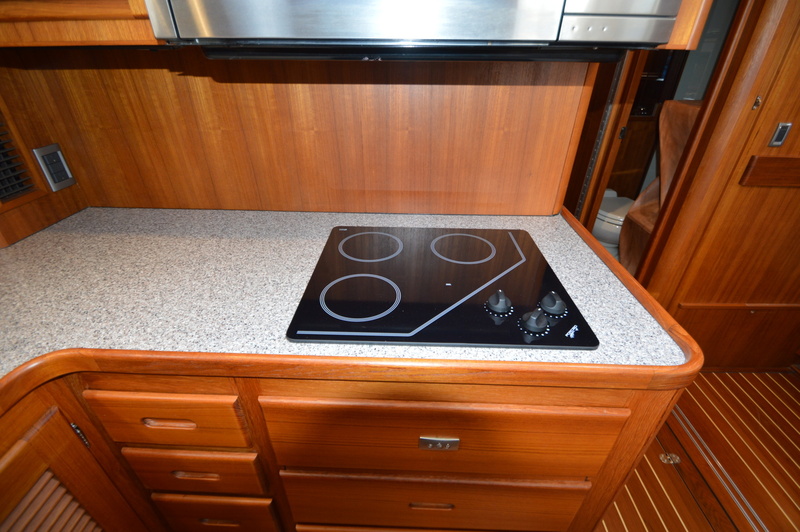 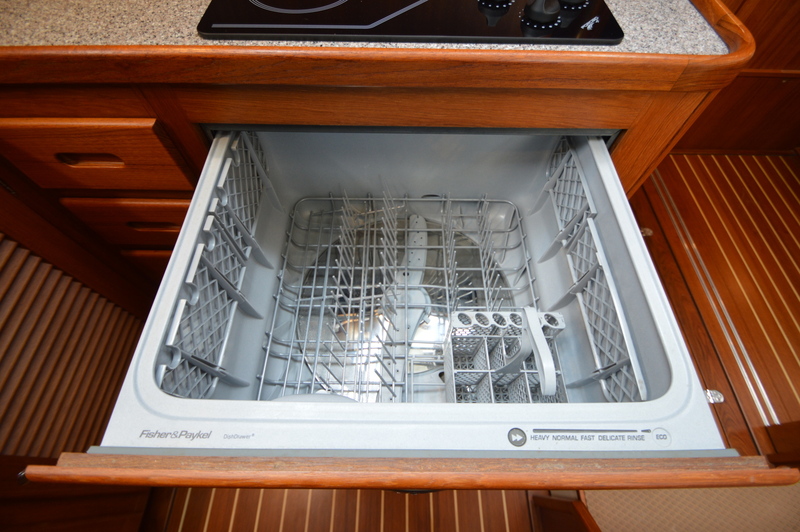 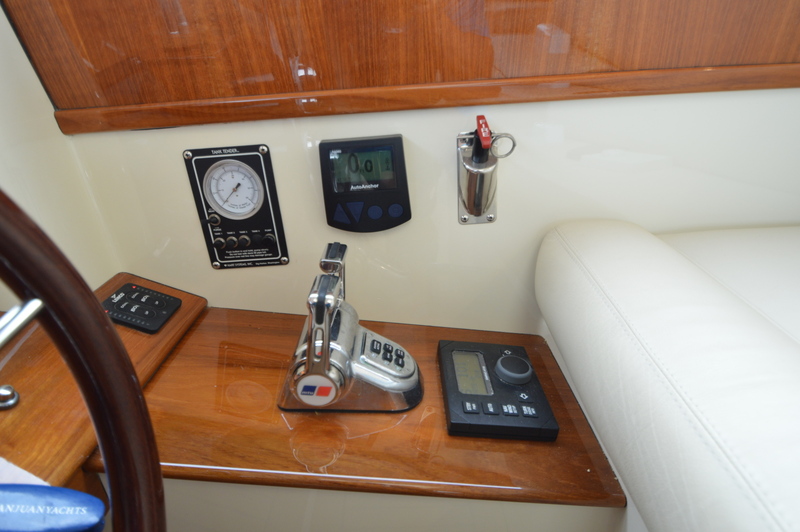 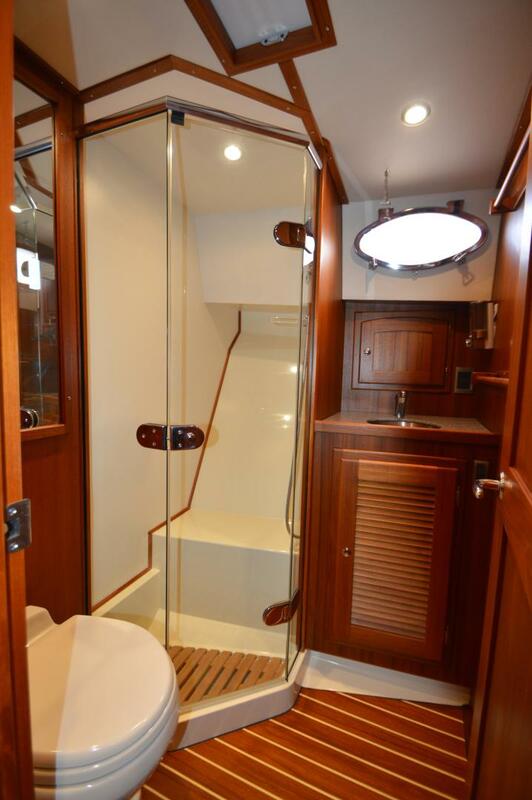 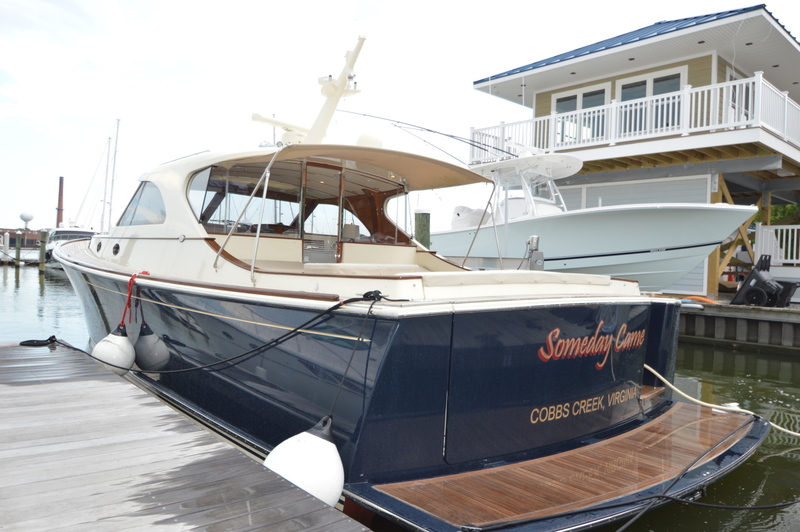 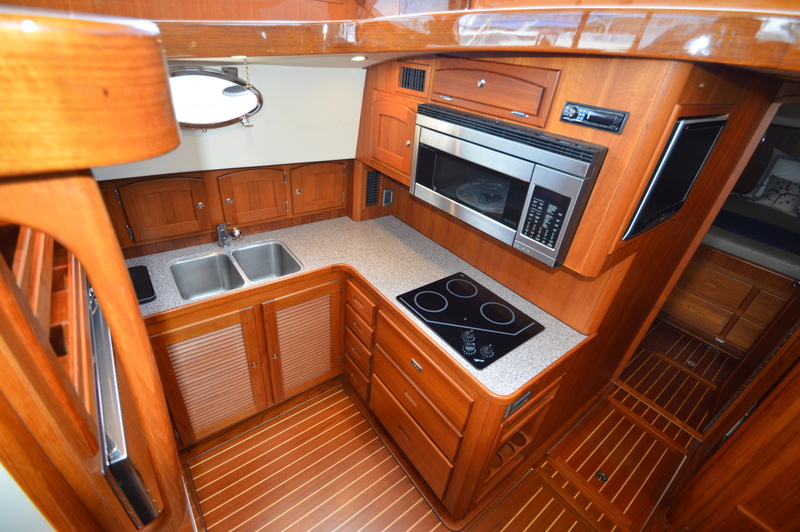 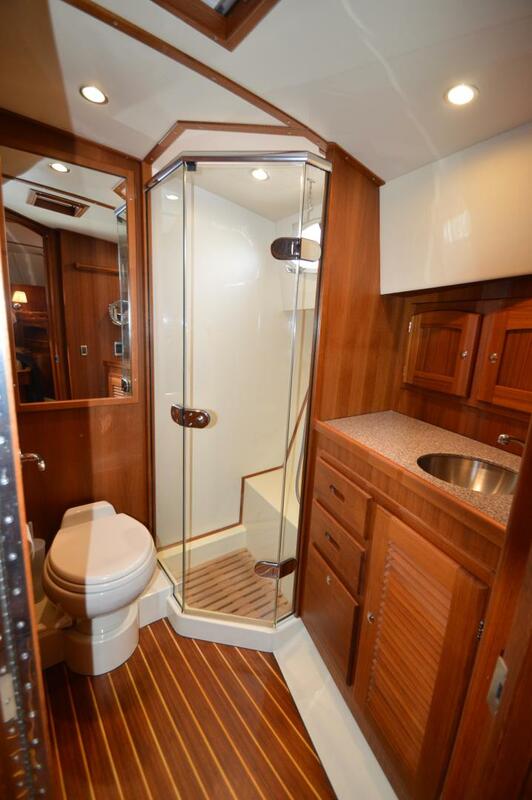 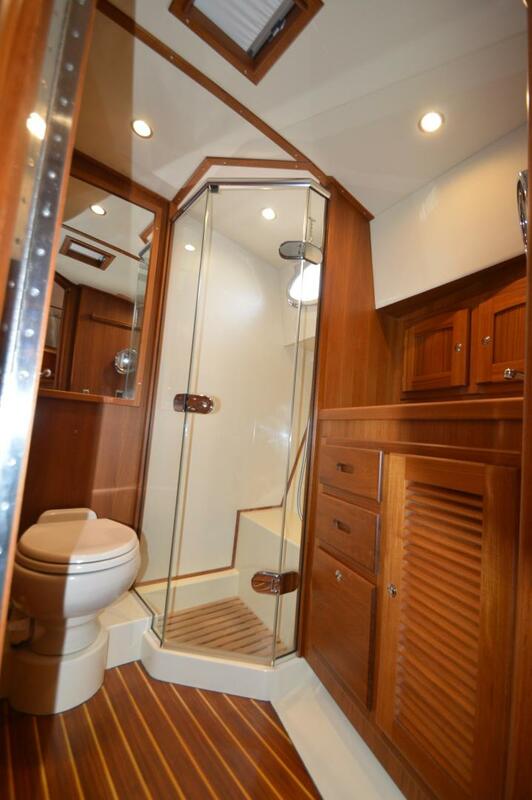 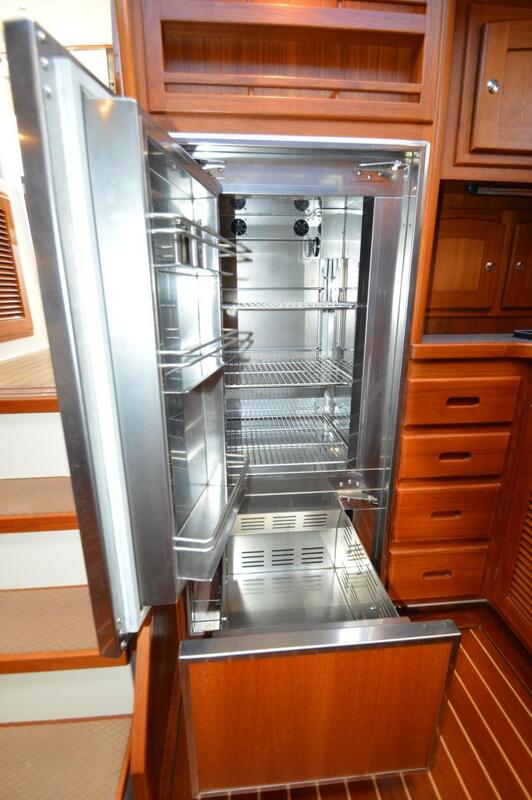 The deck saloon features a Wet Bar with Sink, counter, Refrigerator/Freezer/Ice Maker. 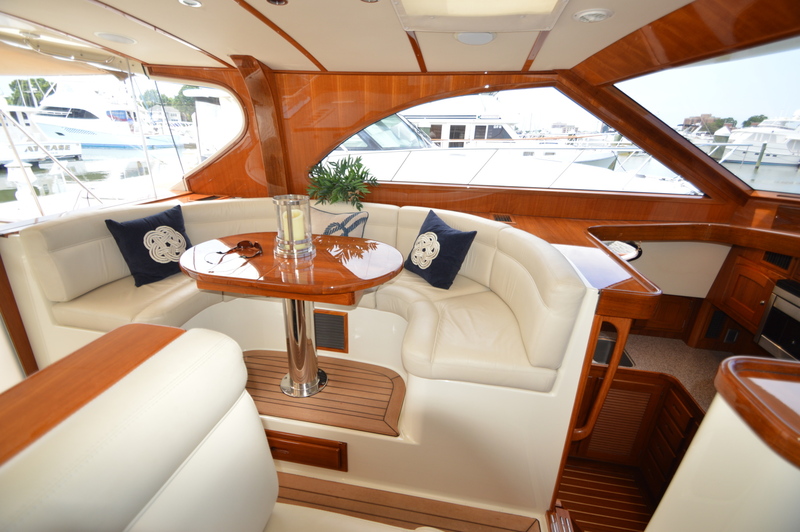 Come see for yourself, Yachting at it's best! 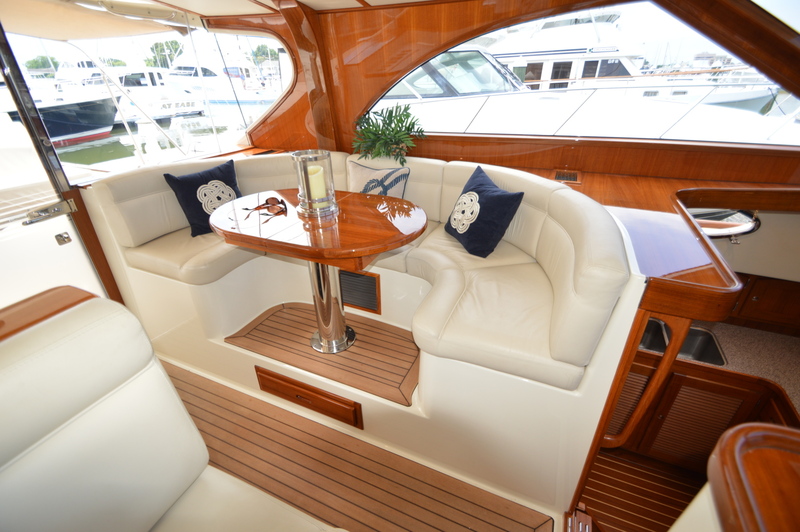 The 48 San Juan is designed to be a safe, comfortable, high-performance motor yacht, engineered to handle the rugged environment of it's birthplace, the Pacific Northwest in style. 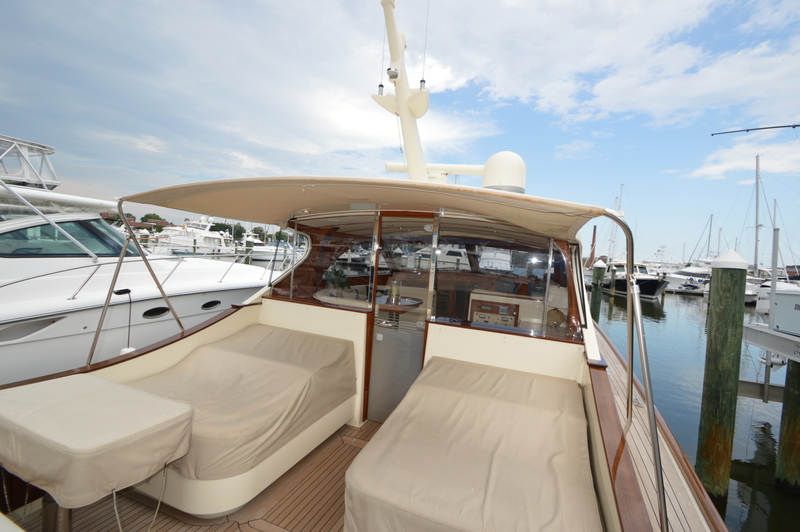 The hull design makes this lobster yacht/express cruiser capable in a broad range of sea conditions, while allowing for fast cruising in calm to moderate seas. 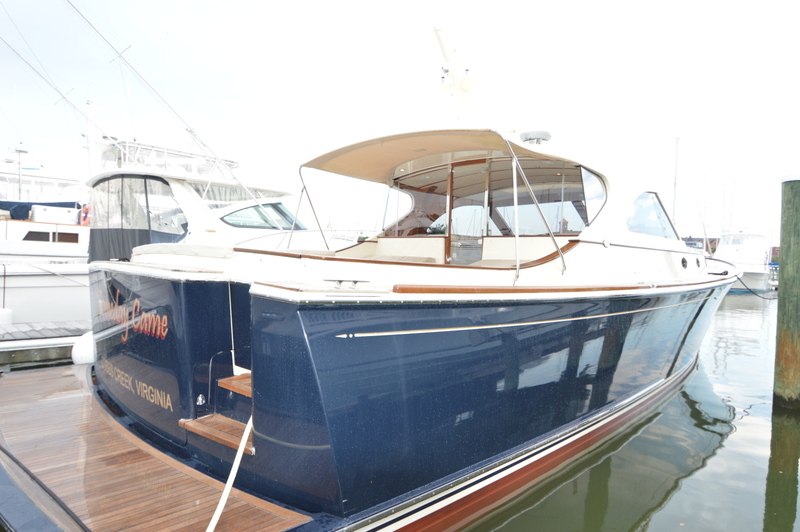 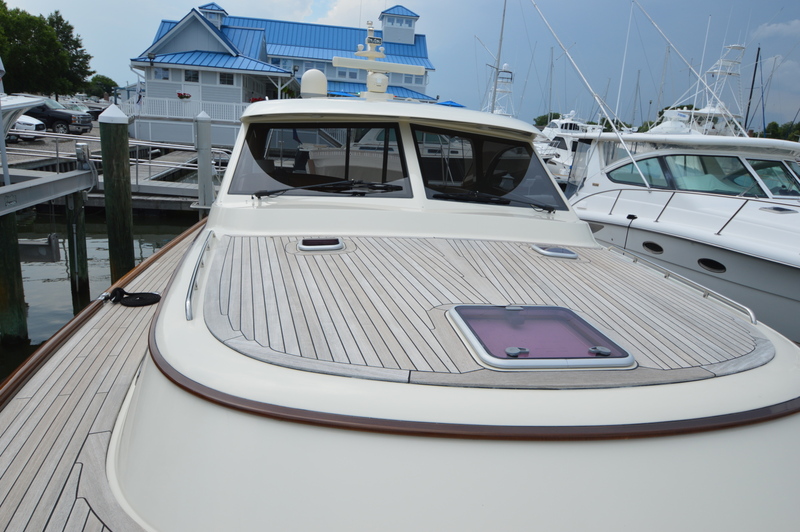 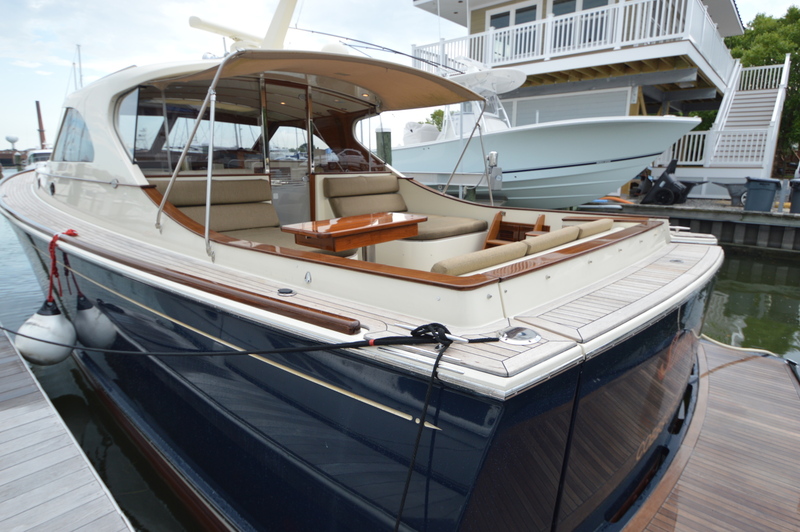 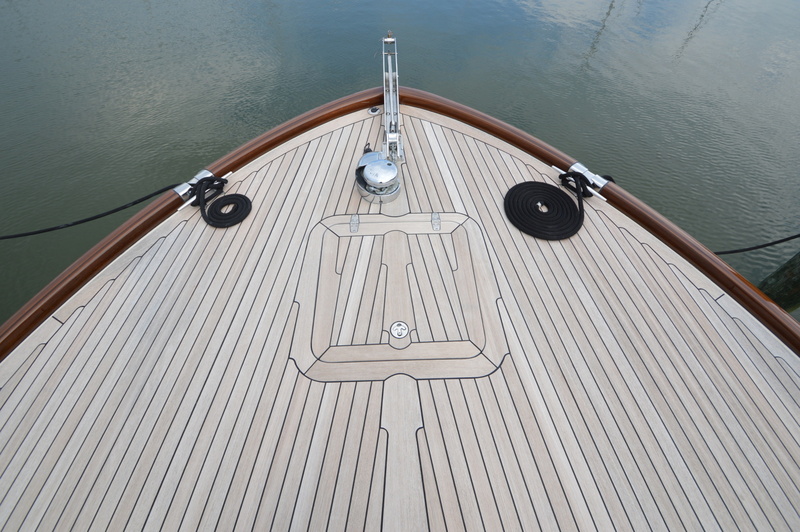 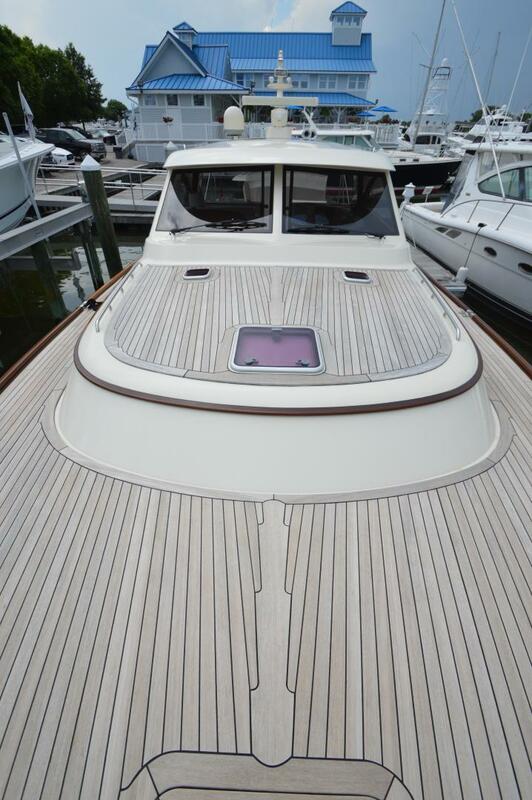 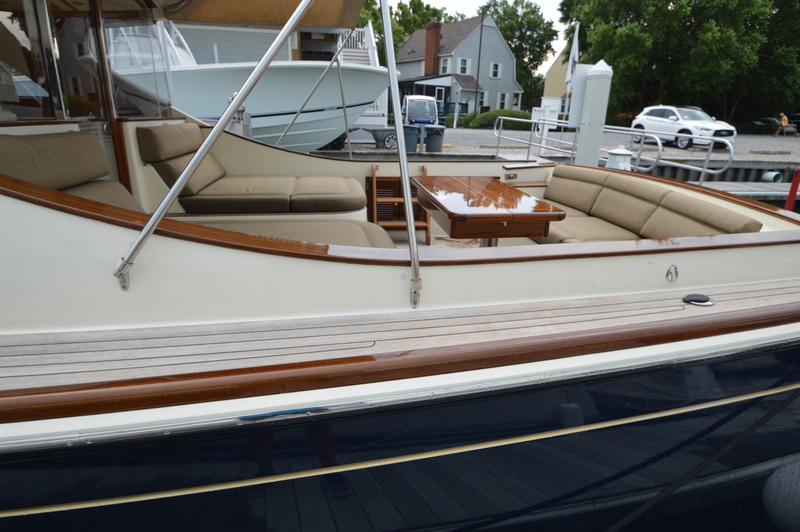 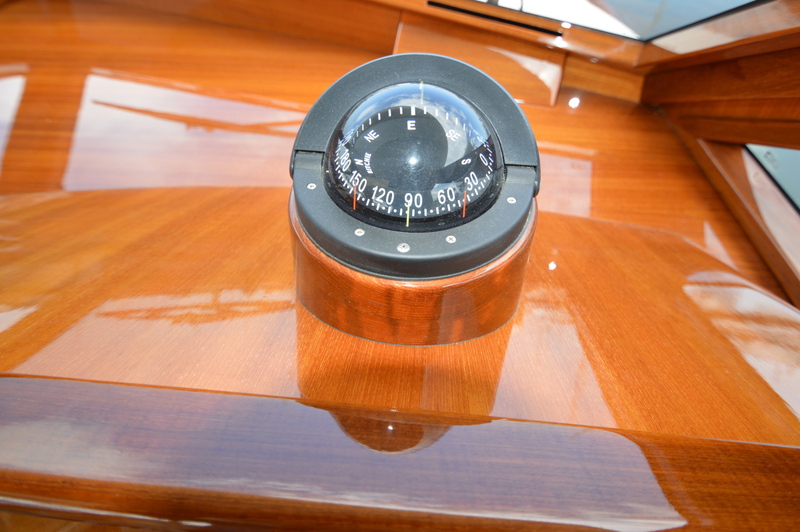 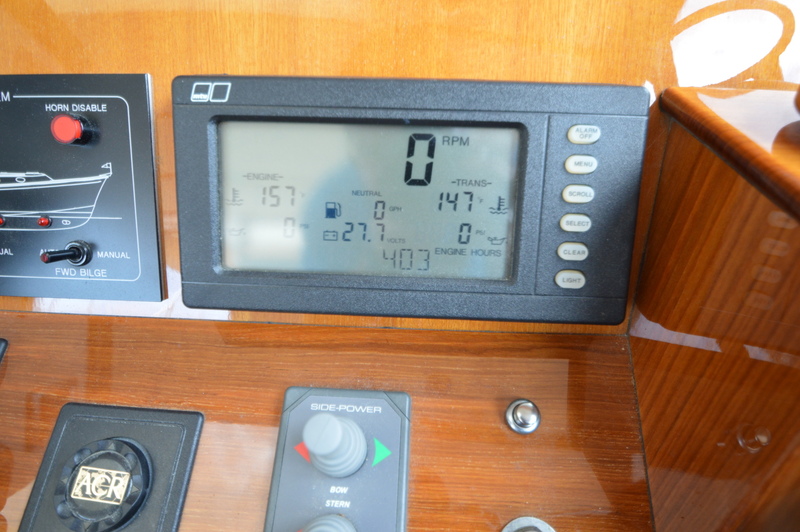 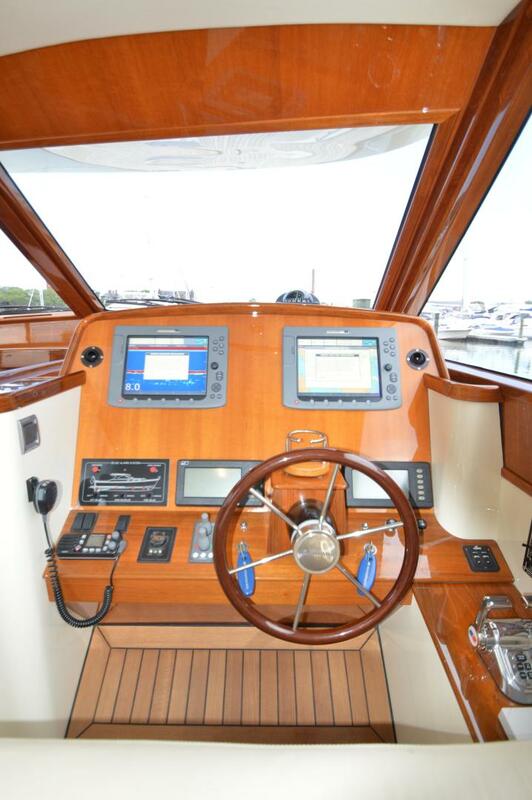 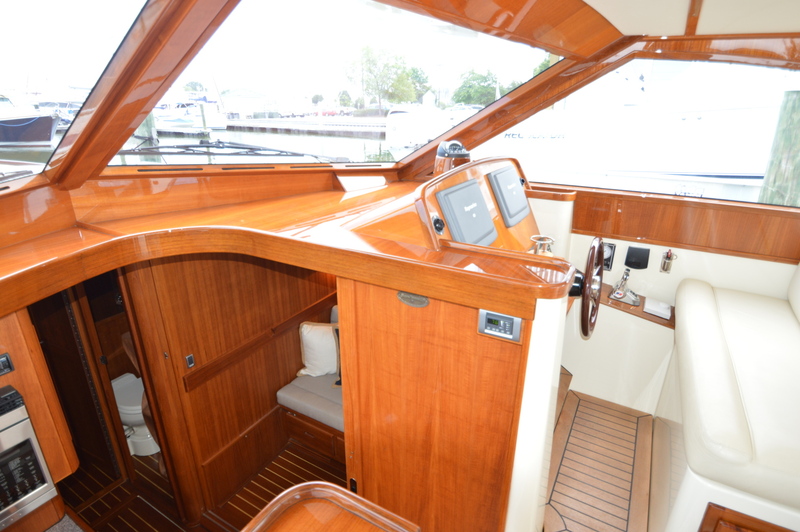 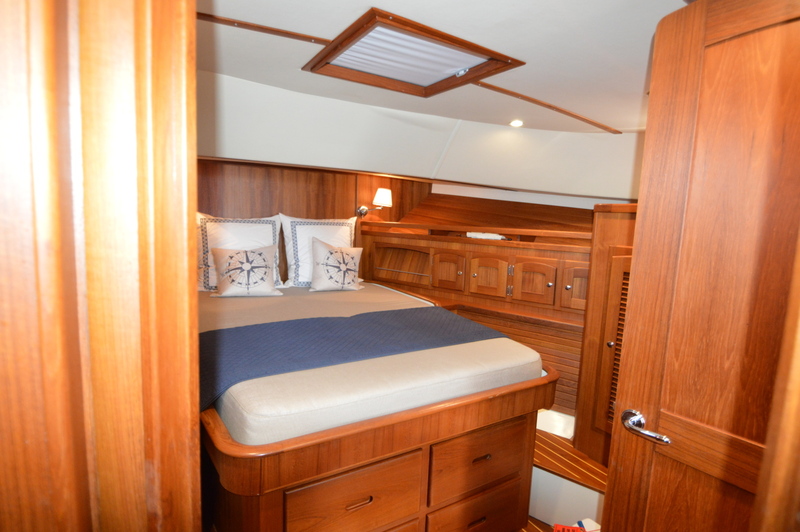 The San Juan 48 is 51'10" overall, 48' Length on Deck, with a 15'6" beam and 2'9" draft. 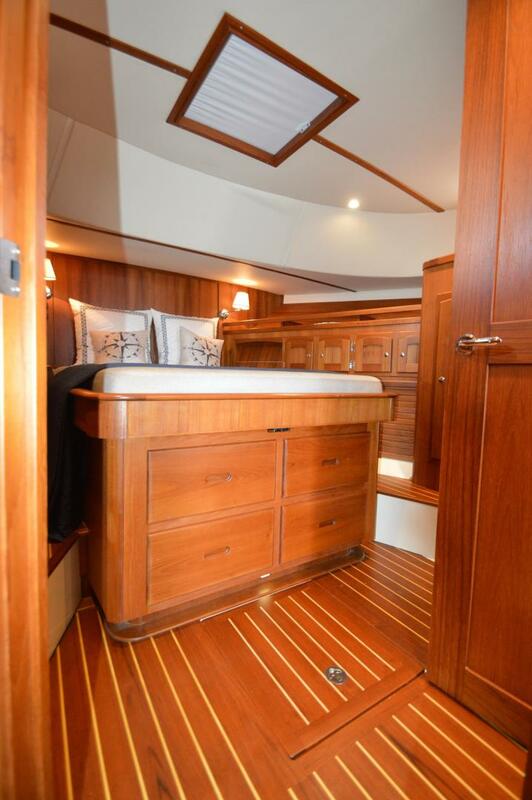 Efficient and highly functional interior and exterior layout has created a premium level of living space suitable for intimate family use as well as for entertaining. 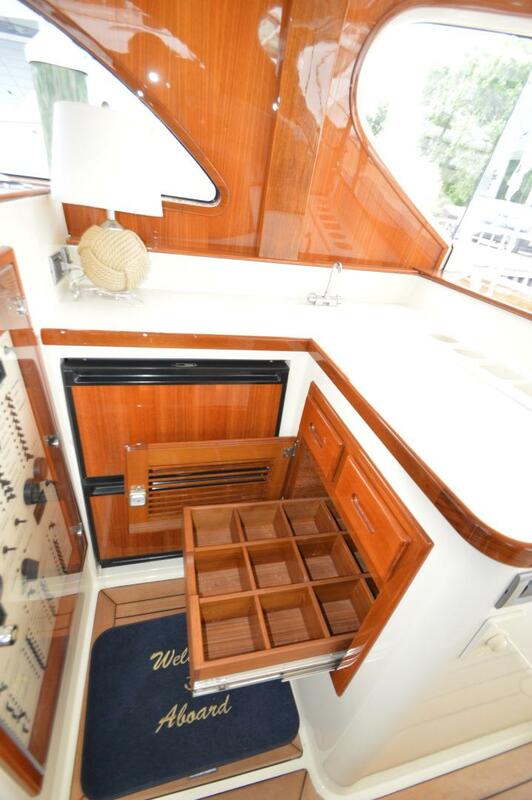 The large cockpit has ample room for sitting/dining/sunbathing and fishing. 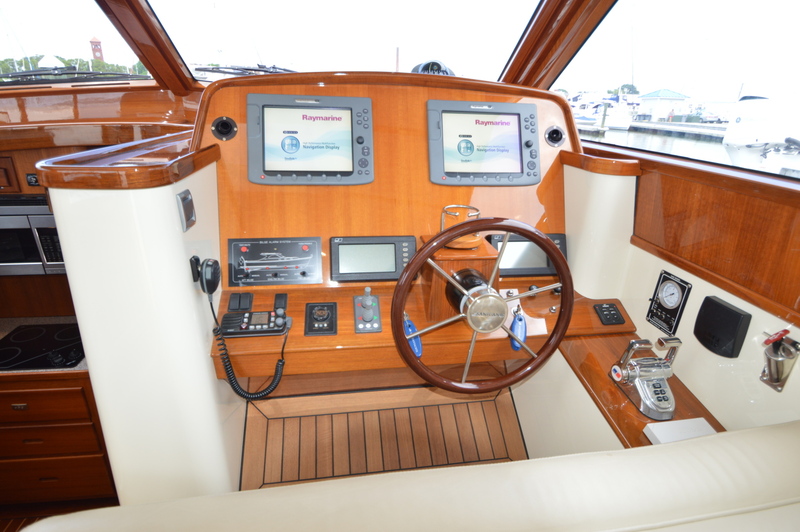 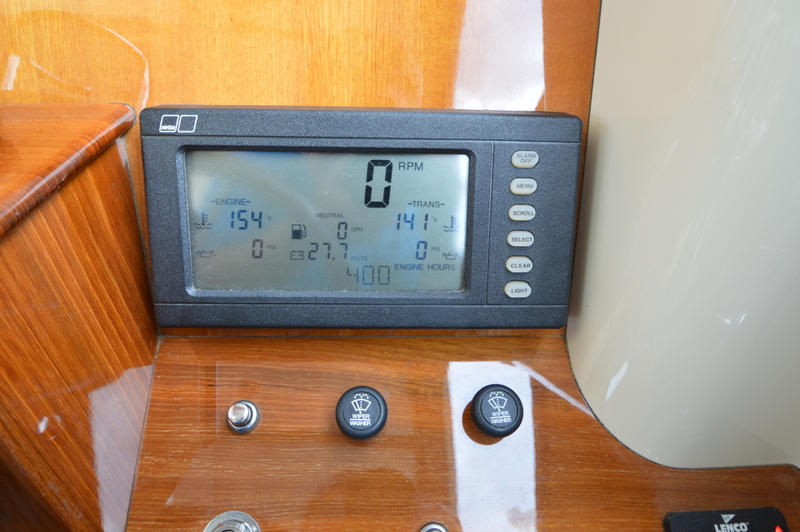 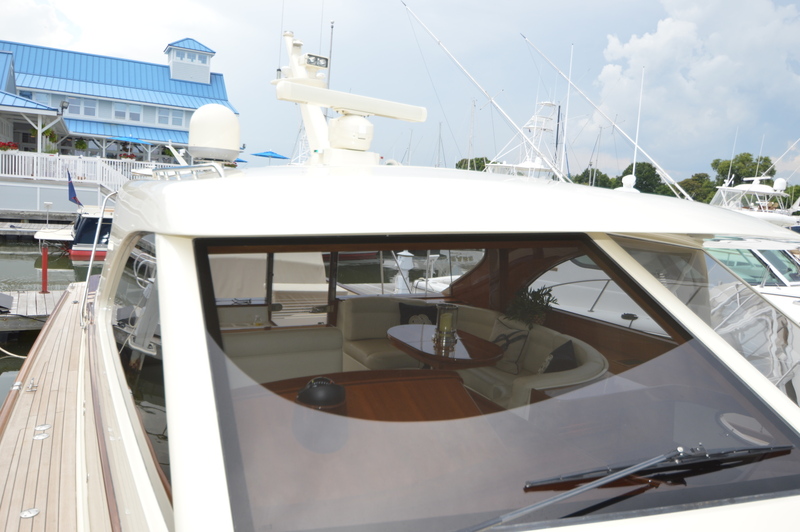 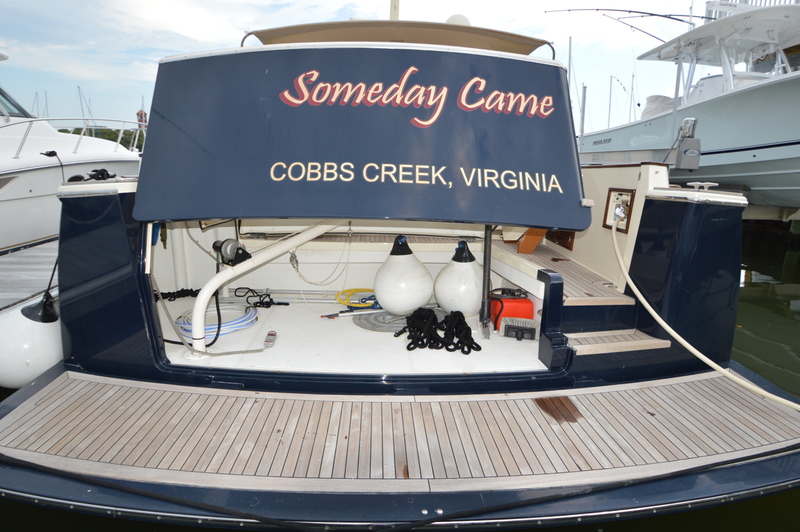 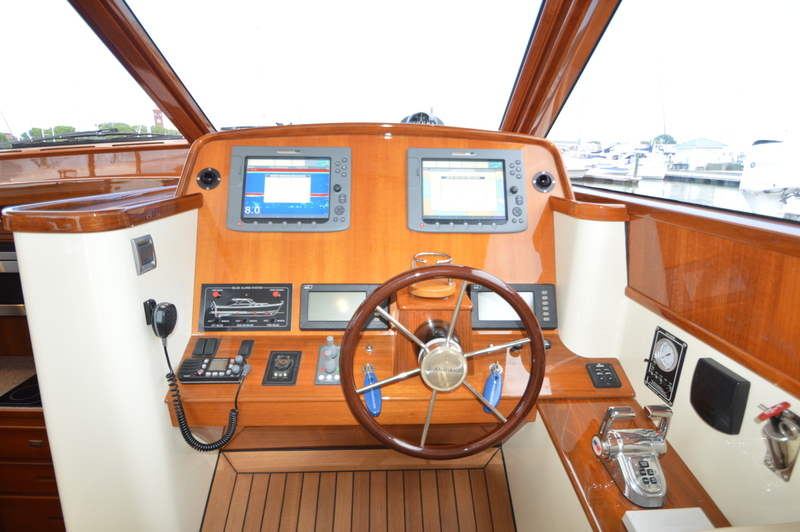 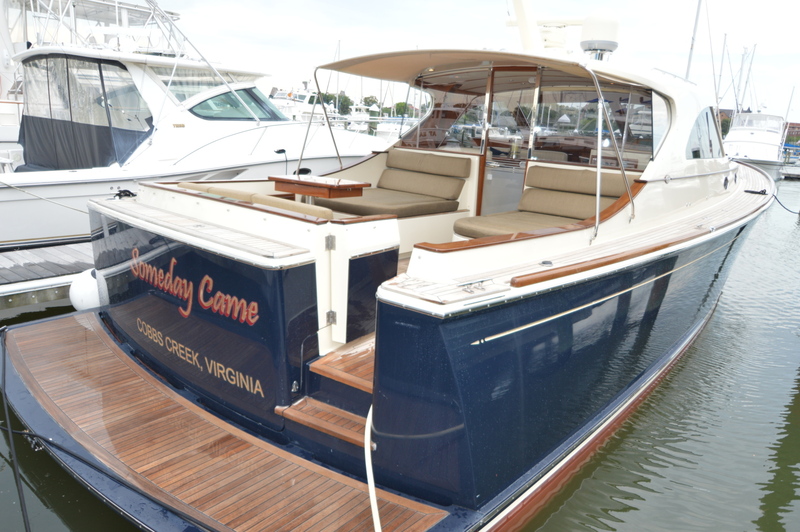 The pilothouse includes a settee area and helm seat with a hydraulically operated sun roof above and large scratch resistant removable rear windows opening onto the cockpit. 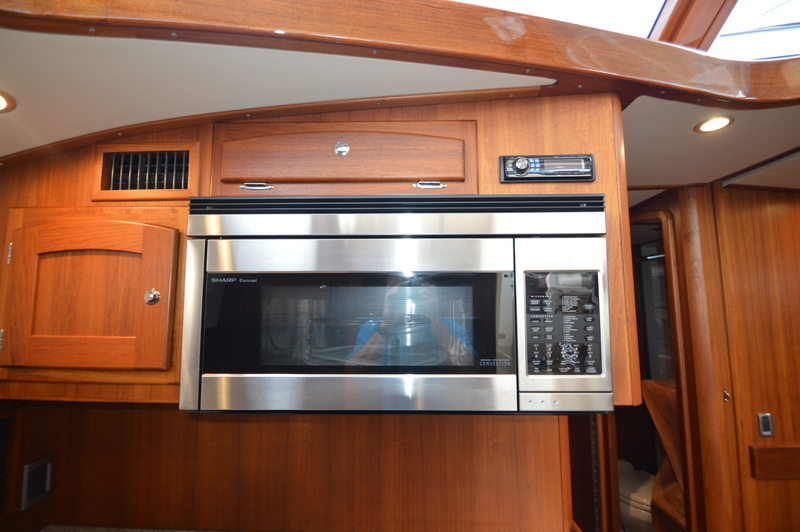 The galley is outfitted with a cooktop, microwave/convection oven, refrigerator, freezer and dishwasher, The cabinets and counter behind the helm station contains a bar sink plus drawer type refrigerator, freezer with icemaker. 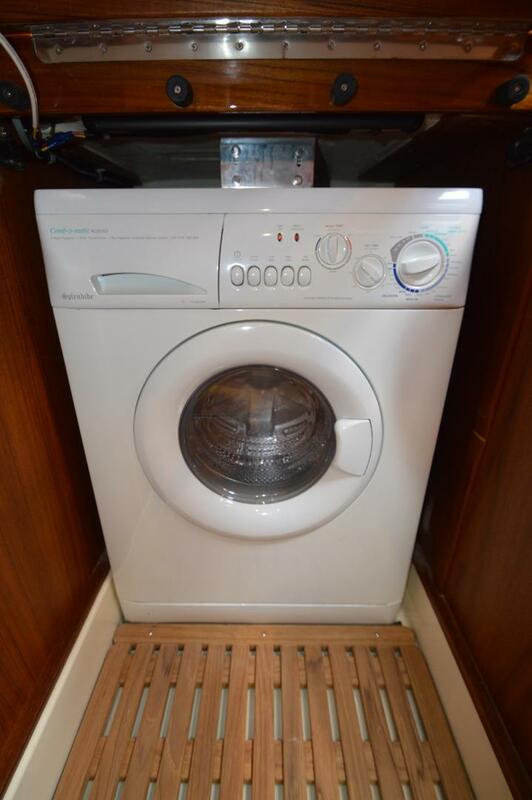 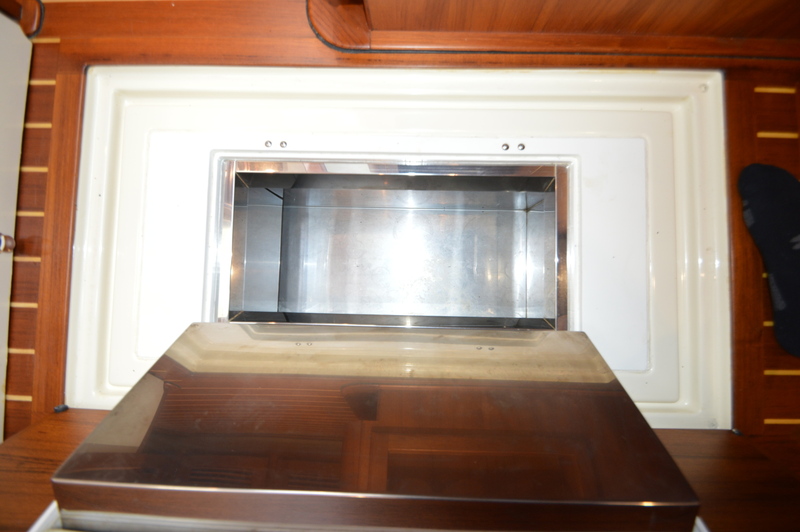 A combination washer/dryer is located beneath the steps to the lower cabin, the steps are hinged and easily lift to provide access to the laundry area. 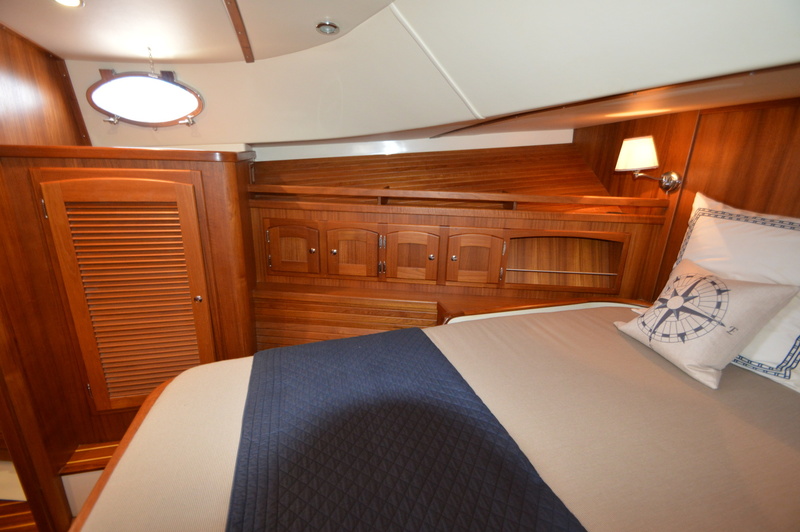 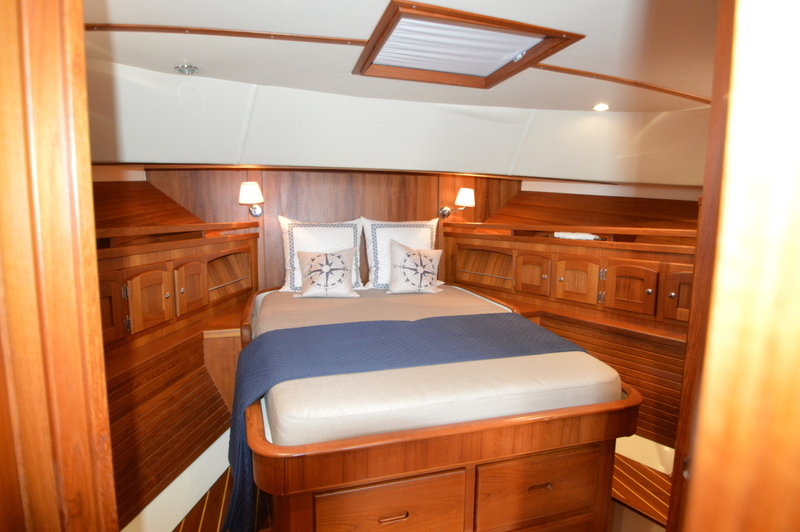 Forward and aft staterooms are both outfitted with Queen sized beds. 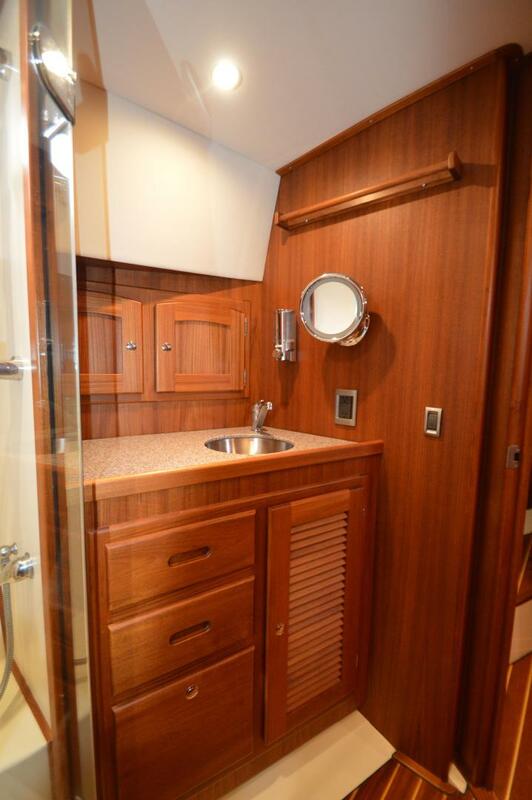 The forward stateroom features a private head and shower, while the guest stateroom shares the Day head, also with a stand up shower. 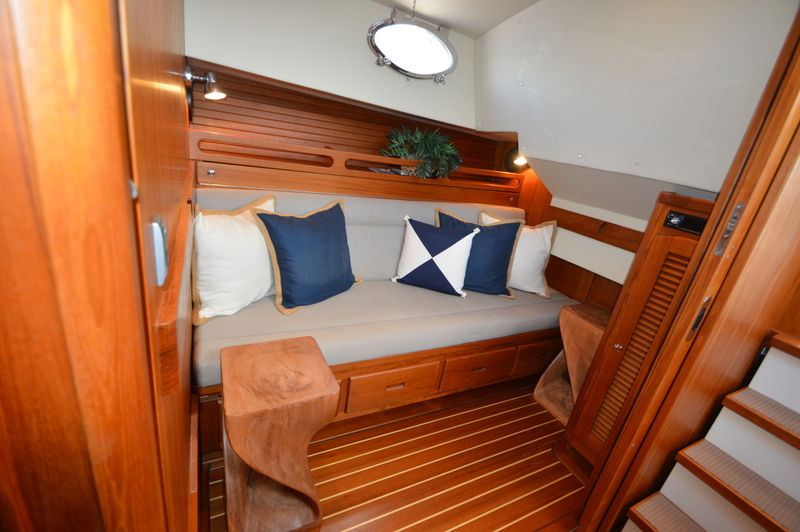 The guest stateroom can be converted into a settee for day/ casual seating use. 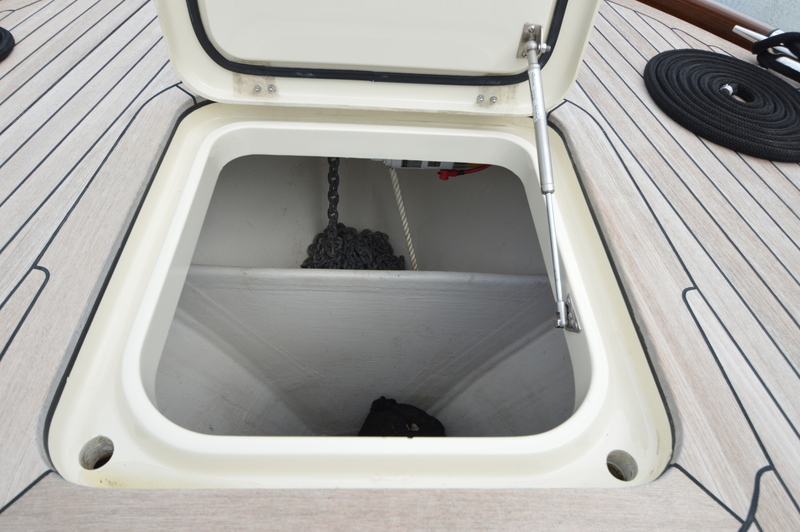 Above the berth is an upper "stow away" berth for one person. 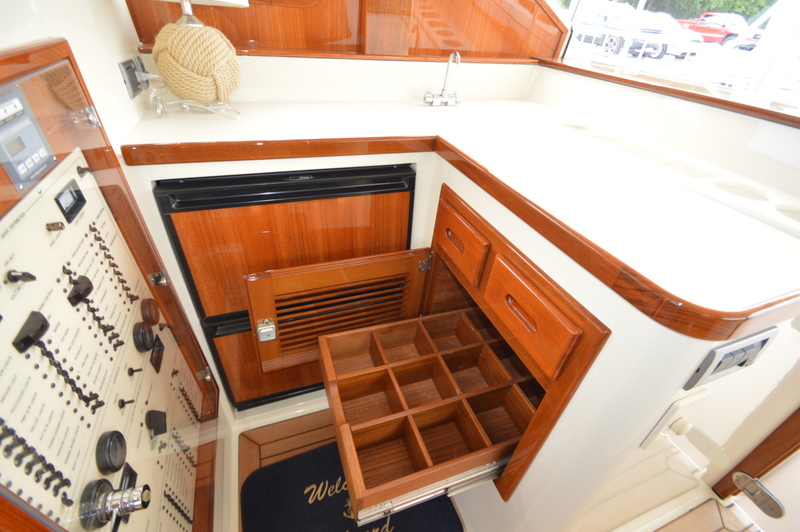 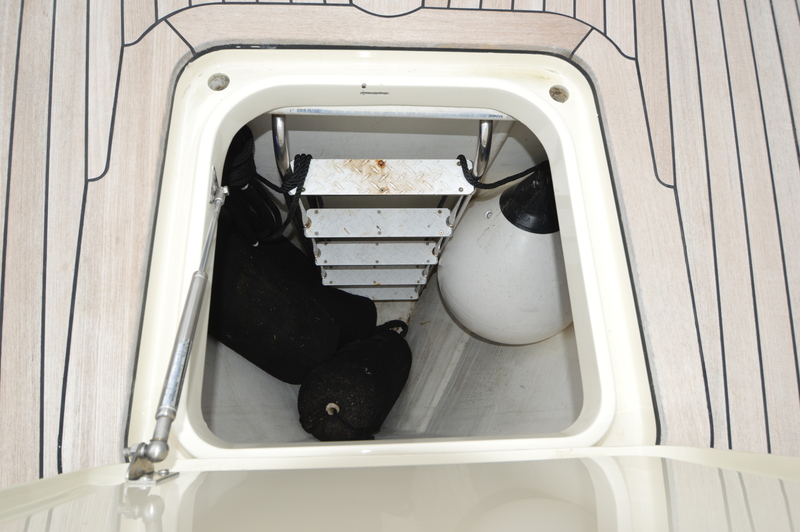 There is additional storage beneath the Forward and guest berths. 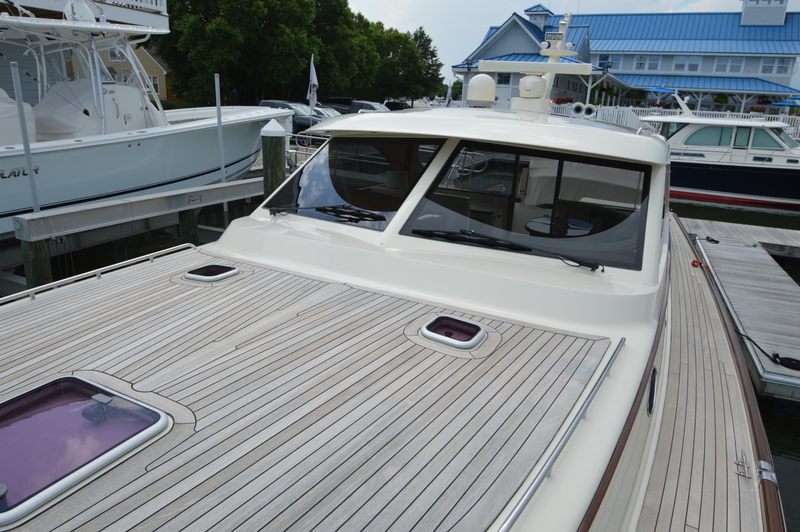 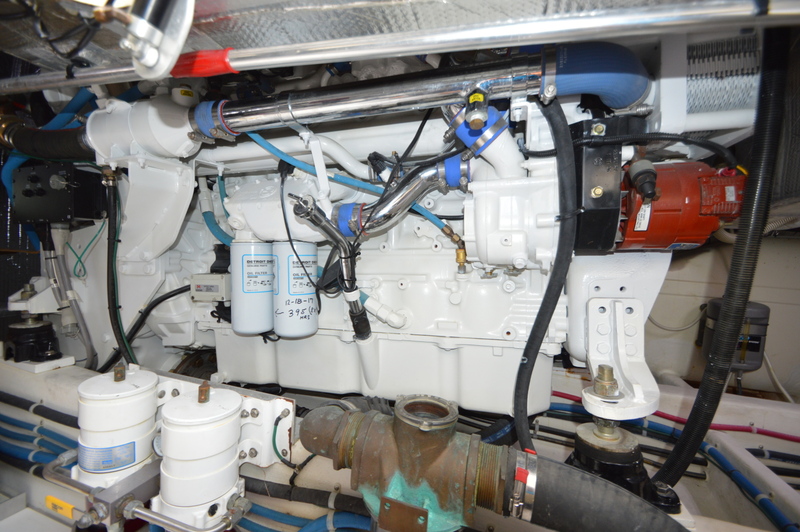 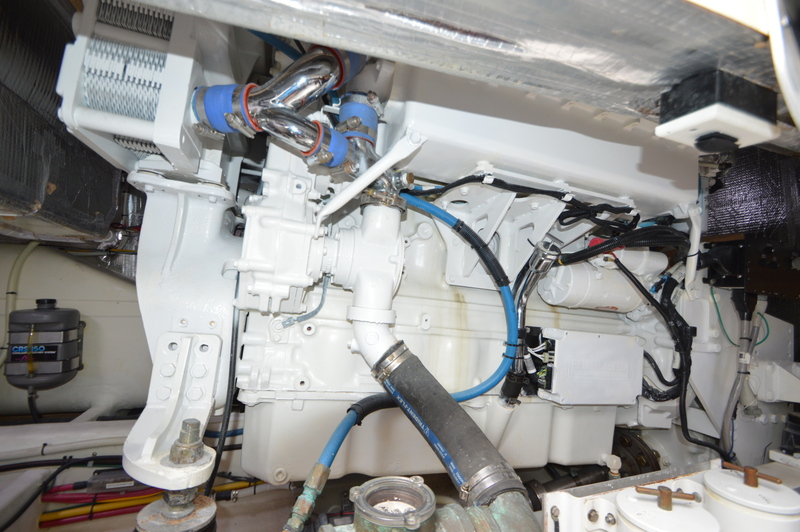 The Pilothouse and lower cabin are heated and cooled by a Chilled Water HVAC unit (Replaced with new unit in 2017) . 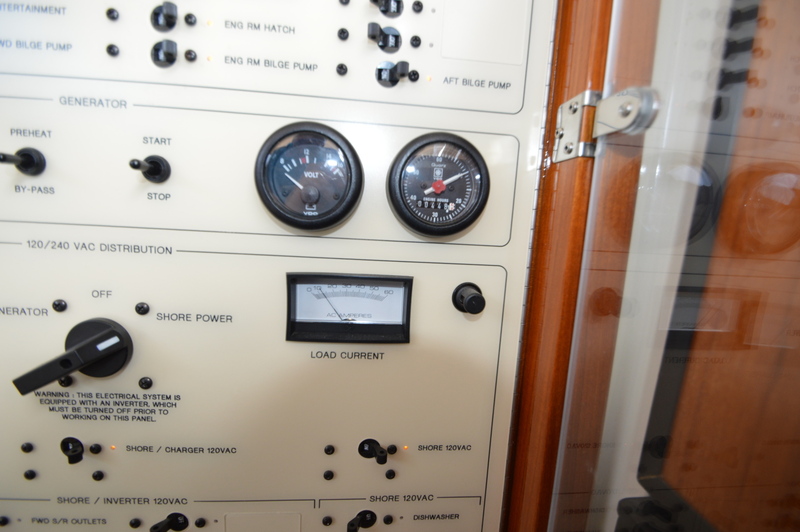 72 mile max range, open array Radar. 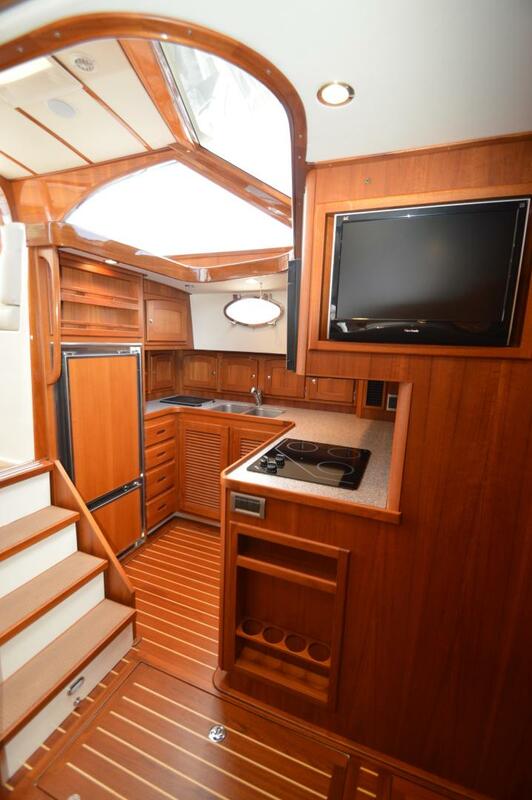 Located at the bottom of the stairs, but still open to the deck salon is the main galley. 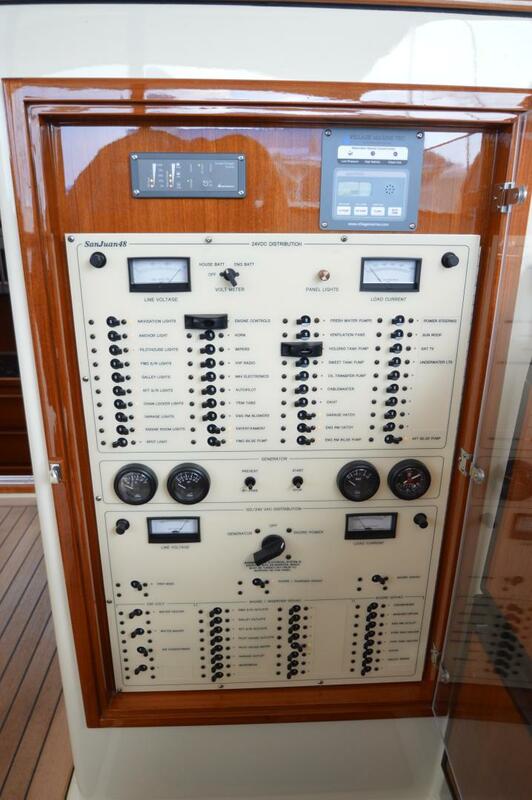 This is an original owner vessel. 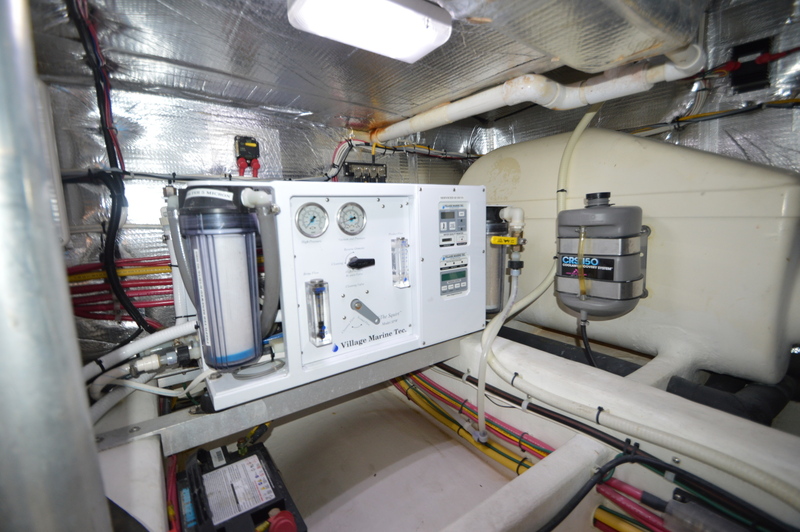 She has been kept in a covered slip most of her life and has spent every Winter in an enclosed storage building connected to shore power. 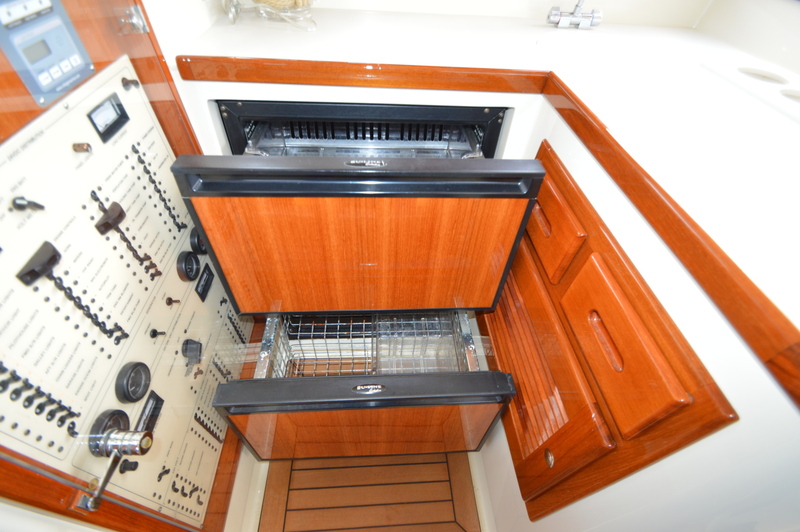 The bottom paint was just refreshed as has the Barnacle Block on the running gear and underwater metal. 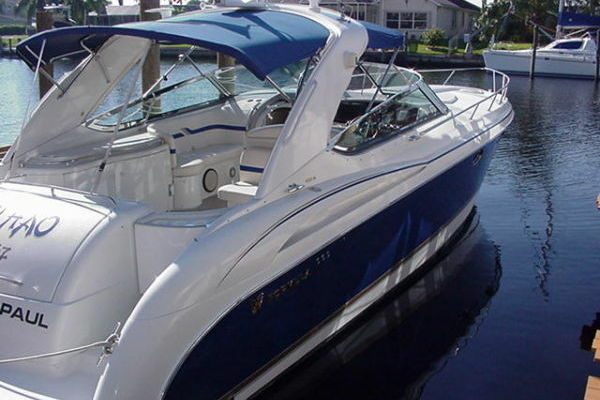 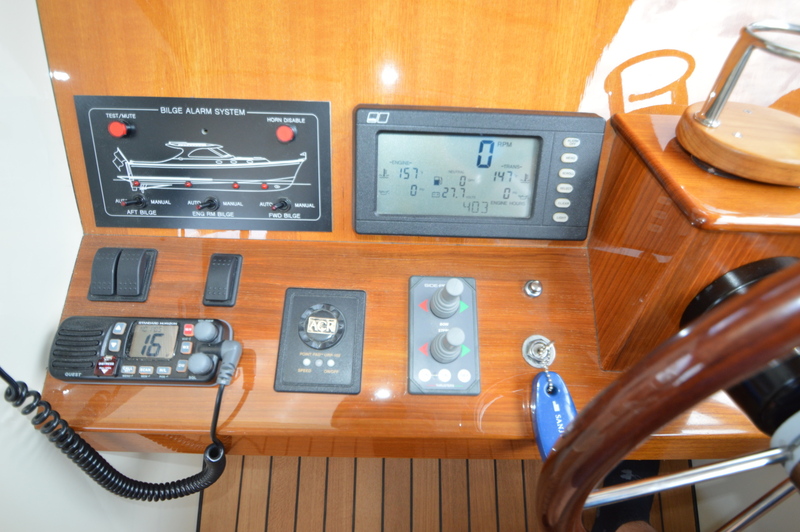 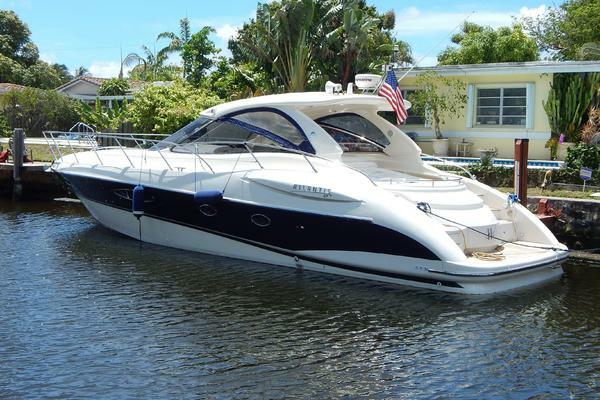 She will be delivered with all original owners manuals and full safety equipment.